I wonder what creative spirit will soar for Wishbone Day 2015? 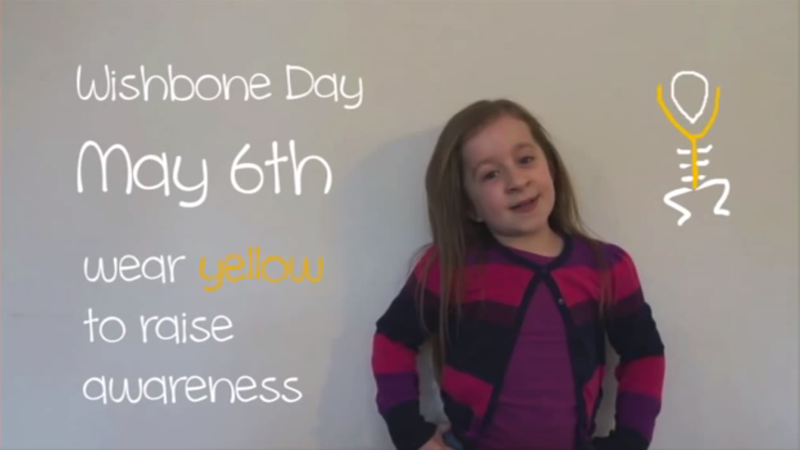 For Wishbone Day 2014 Maleah spread the word on Wishbone Day and OI awareness by creating this terrific video about her life with OI. Maleah reached audiences worldwide and her video has now been translated into multiple languages! Watching Maleah and her video today started us thinking ... I wonder what creative spirit will soar for Wishbone Day 2015? 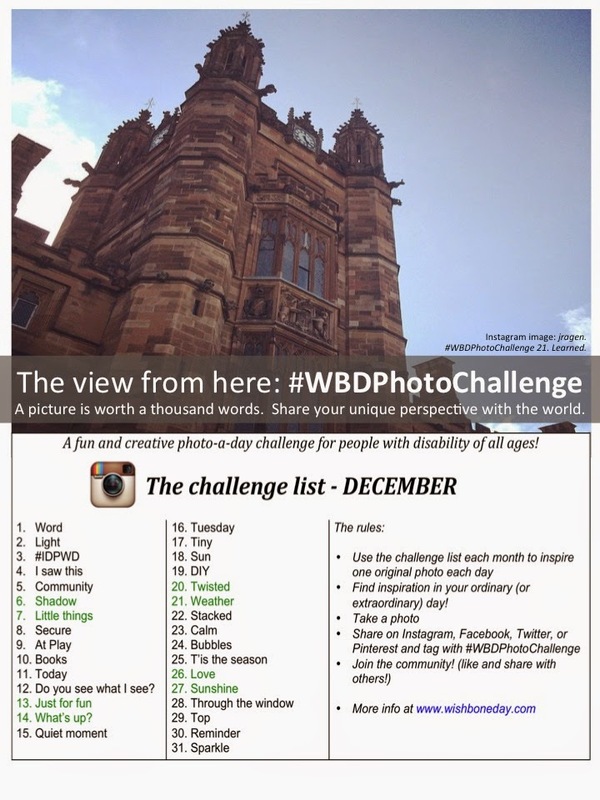 Take the Wishbone Day challenge! Be creative. Be clever. Be heard. In celebration of Wishbone Day: International OI Awareness on May 6th, 2014 Sean Stephenson will host a free educational webinar (online video class) about how to successfully navigate life with OI. On this program he will to share his personal perspective of successfully growing up and living large with OI. 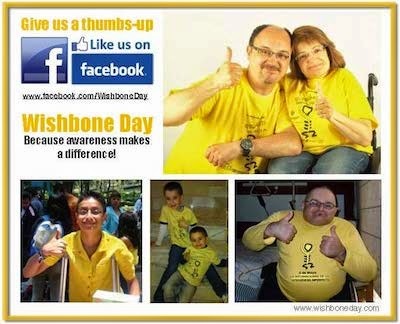 We're excited to see so much Wishbone Day awareness creeping across the world to raise awareness for OI ... Wishbone Day is only a couple of weeks away and this year is guaranteed to be the biggest yet! Linking back to Wishbone Day will help us to grow a strong and united community across the world, ensure that people everywhere know how to find us and will keep Wishbone Day moving in the right direction. Tag us on Facebook, Twitter, Instagram and Pinterest using @WishboneDay or #WishboneDay. 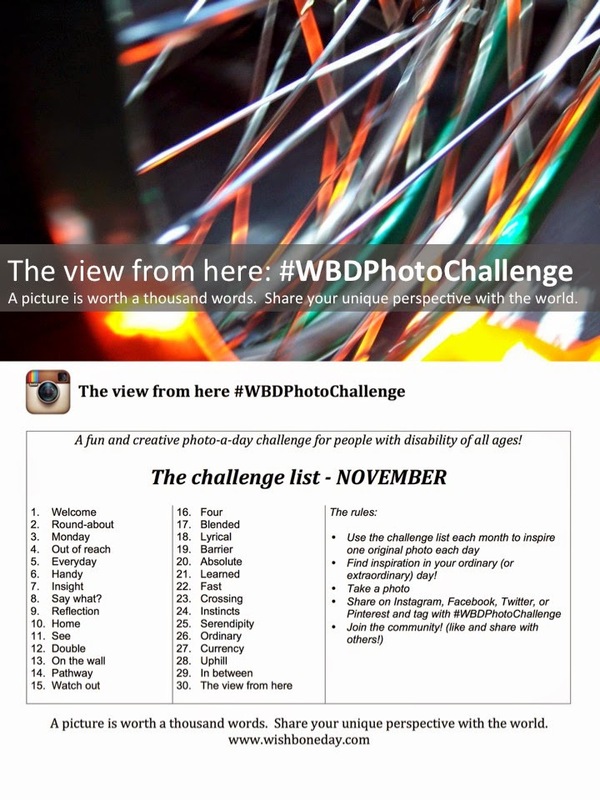 Remember if you are using the Wishbone Day logo to check out our image conditions of use. You'll also find a list of OI associations around the world for more support. Got questions? hit up the comments section below and I'll make sure I respond asap! Let your Wishbone Day spirit soar. Celebrate your Wishbone Day your way! There is a growing Wishbone Day buzz in the air! Individuals and groups worldwide are beginning to plan special events and contributions to this global awareness effort. We thought now was a good time to share how Wishbone Day started and what it stands for. 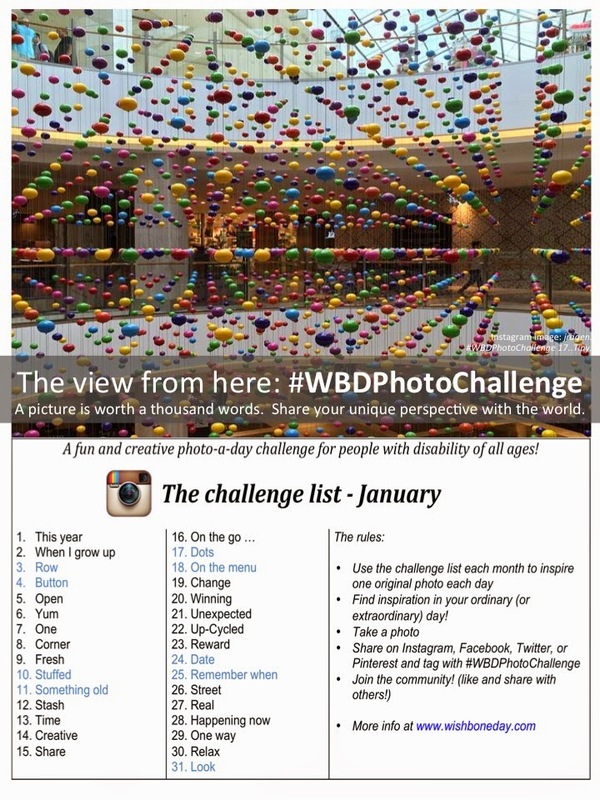 Why not drop us a line and let us know what you have planned for Wishbone Day 2014. Join us on Facebook, twitter, or pinterest for more updates. Wishbone Day is an international community awareness effort to raise awareness of Osteogenesis Imperfecta (OI) otherwise known as brittle bones. [Jo Ragen - Founder of Wishbone Day] Wishbone Day started in 2008. The OI Society of Australia had a conference and it was really interested in trying to get members engaged in different ways. To look at new ways of getting people to engaged with the society but also to figure out what people wanted from a network of people. I was invited to do a session on ‘what was possible’ just to get some ideas really. 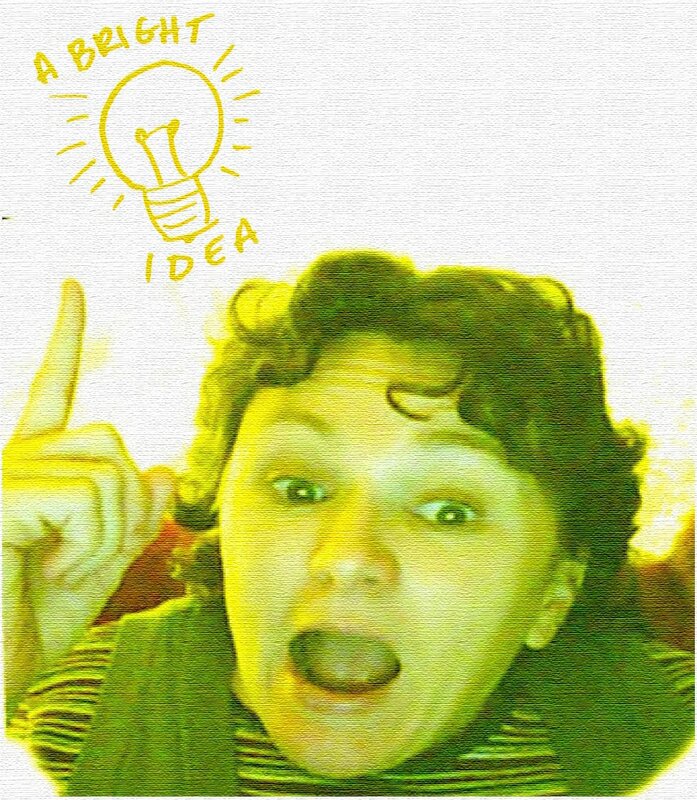 It wasn't really to do anything other than to get ideas and to figure out what people wanted. As a result of that session we had lots of suggestions [from all the groups] about how to move forward. The suggestions that came up was that there needed to be more awareness around OI. [Allan Sparkl] We probably had 1/2 dozen in our little group, and everyone just threw a few ideas backwards and forwards, and I guess we [all the groups] came up with more awareness and getting it out there. [Sharon Sparkl] We decided that there needed to be more awareness of what OI is. [Allan Sparkl] There are a lot of other weeks out there with awareness. Like national breast cancer week and there is jeans for genes day and walk to work day and all that kind of thing so, why not us? 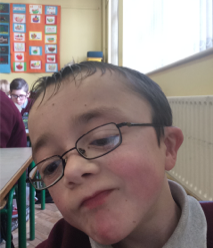 Why can’t we organise something that had a little bit of spotlight on Osteogenesis Imperfecta and the people that are living with that? [Sharon Sparkl] We needed a catch phrase. We needed something catchy and we [the groups] thought Wishbone Day was the perfect one to go with. And then we left, and we felt on a high. We were really inspired by it. And then the next thing, Jo loved the idea and she has just taken the ball and kept it rolling. [Allan Sparkl] Yes, it started off as a pretty casual suggestion. And everyone just threw in a couple of little ideas and stuff to go with that, and it just grew legs and it just snowballed. When Jo came back and said 'we’ve got something here and we can really run with it', it just felt so satisfying. [Jo Ragen] So if you are creating opportunities for people to make different choices about how they engage with OI [through Wishbone Day it will be OI] they do stop and they think, well what have I got to contribute? And most people want to contribute. But as a world, as a society, we have created these easy options were you can throw a couple of bucks [dollars] into a bucket and you can go away feeling good. But actually, you haven’t done much to change peoples attitudes. By taking out the fundraising, what it actually does is have people stop and say ‘well what is it that you need?’ And what we want is to be accepted and to be valued members of our community. So when they don’t have the option to give money they then say, well what is it? They will spend more time learning what Wishbone Day is about, what it means to live a life with OI and who is the person that they are supporting. [Jodie Owen] It’s taken off so much. All around the world. Some people just go crazy and all-out to celebrate. They paint their fingernails and everything. It’s such a great and positive thing to see. [Andrew Longhurst] What I like about it is that it’s not about getting money or raising money. Its about awareness. And I am all for that. [Julie Stonestreet] Wishbone Day is such an important day for us because it is a day when we can come together and really really celebrate how fabulous all our OI family are. We love love having Wishbone Day. [Jo Ragen] Its about recognising people for who they are, just as they are. How can we own that? How can one person own that? Wishbone Day is not an organisation. It is an awareness day. Everyone owns a piece of it. So when you celebrate it, when you take it on in your community it becomes part of your community. It becomes part of the make up of everyone who is involved. 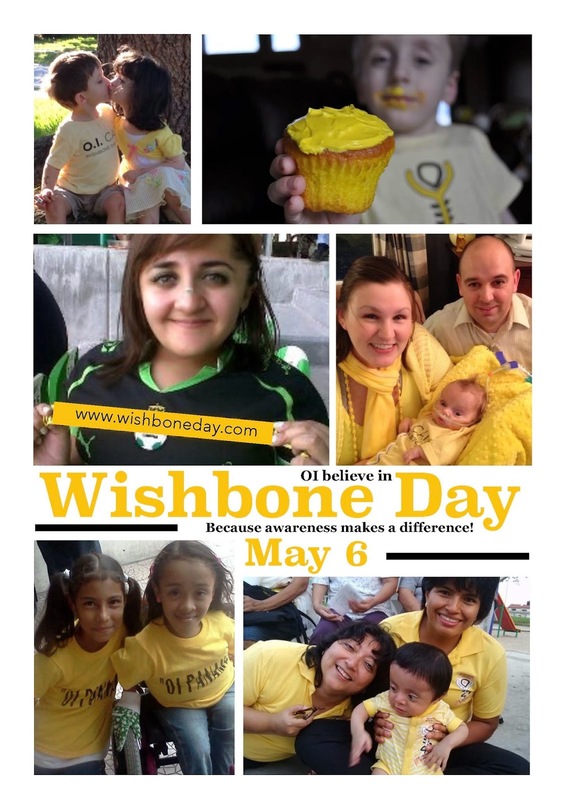 [Fiona Winters] Wishbone Day means to me a day of happiness and awareness for OI. I have had OI all my life and now I have been blessed with three beautiful children and I never thought that would happen. But with, advances in technology and people being aware of it, it makes life a lot easier. [Melinda Montgomery] I think for me because it is an awareness thing, I am big on educating people and dispelling all those terrible myths that there are about having osteogenesis imperfecta. I think growing up as a child everyone was quite scared of me and there is no need to be. So, I think it is this, bringing that positive education that we can have a life just like anybody else. [Jo Ragen] The way that awareness days are normally put out into the world is about raising money for a cure. 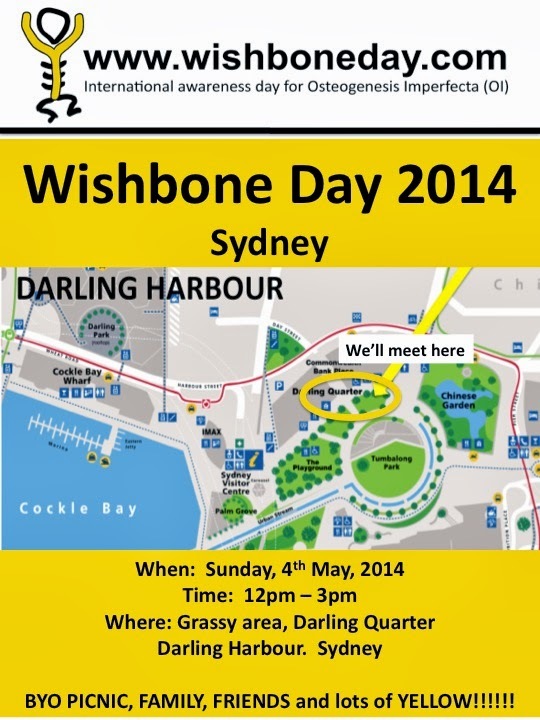 Wishbone Day is about recognising and respecting people for who they are, just as they are. Through positive awareness we can highlight the need for better access, greater understanding and acceptance and how communities can make a difference through their actions and decisions. [Children with OI] Why is Wishbone Day Important? Because awareness makes a difference! Can you believe that there is only 126 days until Wishbone Day 2014! and this year is extra special. We're turning 5! We want you to help us celebrate like never before. Get your yellow on and start making plans. Lets make this Wishbone Day one to remember!